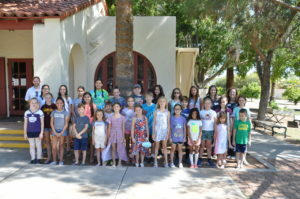 Week Four of Summer Camp at the Shemer Art Center went faster than all the rest, and the end of the week marked a total of over 130 students who attended this year! We are so thankful to all the parents who put their trust in the Shemer Art Center and allowed us to make an artful impact on their children’s lives. We also would like to thank our 2018 instructors: Mr. Travis (Ivey), Ms. Danielle (Wood) and Ms. Kathleen (Scott). It was a great June at the Shemer and we are so glad everyone who attended enjoyed their week(s) here!